We have two new printable coupons available to save on Dove deodorant…. –$1.25 on ONE (1) Dove Dry Spray product. Excludes trial and travel sizes. –$1.00 on any ONE (1) Dove Advanced Care product. Excludes trial and travel sizes. 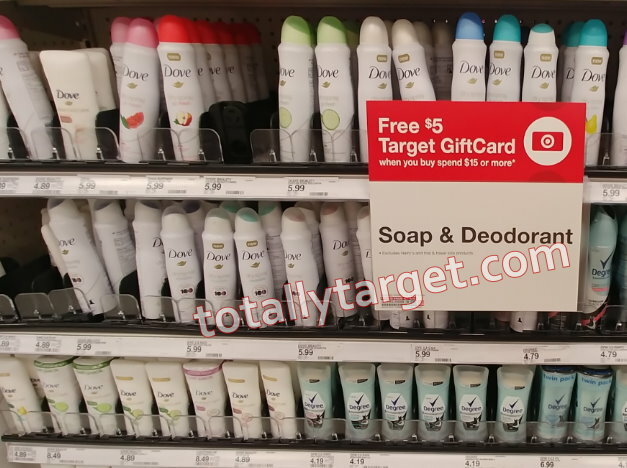 Even better, this week thru 4/13, Target is offering up a FREE $5 gift card wyb $15 or more of soap & deodorant. Each of these nice coupons have a limit of 2, but you could mix & match and do something like this…. Or.. you could mix and match with other brands included that have a steeper discount & get close to the same price per deodorant + free stuff …. = $5.19 for all, or like paying $2.59 per Dove + getting the hand soap AND Gillette for FREE! 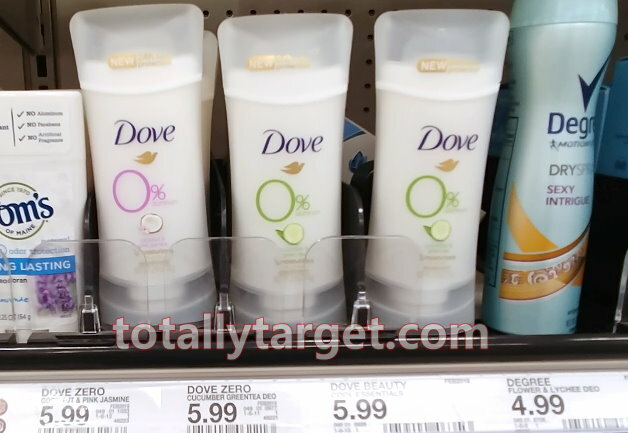 Speaking of Dove, we also have a nice high-value Target cartwheel offer for Dove Zero deodorant. While the coupons above will not apply, there is another coupon valid on any deodorant you can get by signing up on the Dove site. If you have been wanting to try this new deodorant – between gift card and stack you could mix & match and save over 50% + get a Gillette deodorant for FREE!….